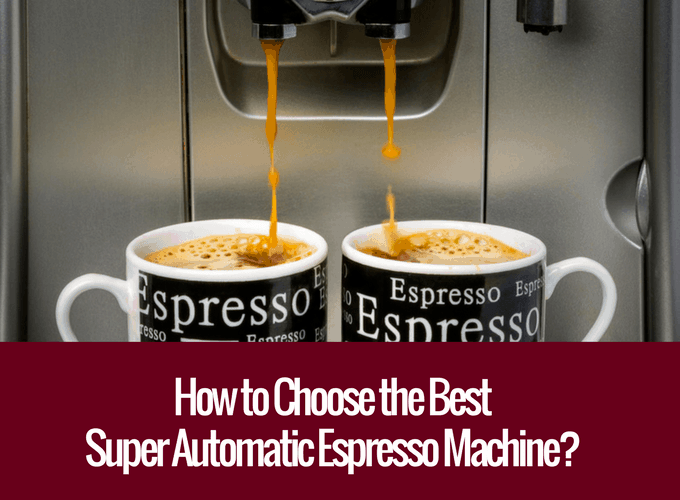 How to Choose the Best Super Automatic Espresso Machine? A superb choice! Super automatic espresso machines are considered to be ultimate convenience tool to make that piping hot espresso. If you do not know how or where to start. You have come to the right place. These machines come with excellent features, offer great benefits and make your coffee with a single push of the button. What are some of the more important features of these machines? These tools are convenient to use; offer customized options for making your coffee and they could often last for a long time. Why Are Super-Automatics an Ideal Choice? Super automatic espresso machine takes the ease of coffee making to the next level. The purpose behind is to offer coffee making process as simple as adding the coffee beans and pressing the button. These machines does not compromise on taste too. They can come with many built-in functions such as grinder and milk frothing with to help you make that perfect brew. One-touch pre-set coffee. Super automatic espresso machines offer the features to set personalised coffee making preference according to your taste. These are the considered the best espresso makers in the market. Controllable settings. These machines come with adjustable options to control the temperature and volume of your beverage. Controllable Grinding. Hassle-free grinders are installed in automatic espresso makers with built-in features to control the fineness of your brew. Automatic Frothing. Super-automatic espresso makers offer panarello that automatically froth the milk or have a steam wand that can froth milk directly into your cup. The manufacturers of super-automatic espresso machines offer a wide range of features, these are the essential considerations before you get your own. Not all are made equal. While most do offer the basic beans to cup features. The higher end models allows you to control various parameters such as: Temperature or milk options. Or additional features such as double boilers, automatic frothing or programmability. If you like cappuccinos or lattes, you would love those that provides milk options. Those that are not inclined to manual frothing, a built-in panarello-steam style wand that automatically gets you that cappuccino foam would be ideal. Do check if they come with these features if you want the most out of it. ​Built-in grinders add convenience in making fresh coffee. It is the best feature for those who have limited space or just hates managing more than one machine. ​“Coffee is best when served hot”. Warming the cup before a brew arguably makes better brew. The same is for after the brew, lukewarm coffee just spoils the taste. ​It is an absolutely necessary if you prefer coffee with milk. ​As super-automatics are made up of many sporadic parts, more time would be needed to clean it. That said, most machines do have automated cleaning processes but that only applies to the parts that are involved in the espresso-making process. The water tank, boilers or external wands will still require manual cleaning. ​Higher end models offer advanced features to control temperature and adjust the volume and strength of your coffee. Most comes with a digital display; that would make using it a lot more intuitive. Some take customisation to even higher levels. Those can help their users save their coffee making preferences in the machine. Talk about having a unique blend to yourself! Ideally, you would want the machine to be made fully in steel. If you would have to compromise, make sure the essentials parts such as boilers, pipes, spurts and wands are made entirely in stainless steel. The outer body of the machine can then be in aluminium or sorts. ​The less work you want to do, the more you might have to fork out. The price of super-automatic espresso machines are often in the high 3s or 4 digit range. Now, we chose 5 to get you started. This product, Magnifica has a patent boiler which is an excellent heat distribution feature to make perfect coffee every time. The stainless-steel double boiler makes the product cleaning an easy task and minimises the need for regular service. The beans-to-brew system of the product ensures perfect aroma of your coffee with freshly ground coffee beans. The product has a special feature of Instant Reheat that keeps the espresso at the ideal temperature. This feature heats the Magnifica core at regular time intervals. One of the special features of Magnifica is Removable Water Tank and Bean Container. This feature enables you to fill the tank and bean container without moving the whole machine. This feature provides convenience to its users. All the built-in functions and the digital display are at the front of the machine to give an easy access to its users to control the machine. Integrated Grinder is much welcomed hassle-saver. The Gaggia Brera is a relatively affordable and small model. With its’ stainless steel Panarello steam wand, it makes excellent froth. If there are times where you wanted to have decaf coffee or simply wanted to try something else, this machine is able to take pre-grounds coffee if you wish so. The in-built ceramic grinder comes with settings to adjust the fineness or coarseness of the grind. You can adjust the size of the shot as well. Overall, this is a machine great for making milk-based drink such as Cappuccinos or Lattes. This machine makes your coffee with a push of a button. This compact machine is designed to perform all the functions with a simple touch. Energy saving feature is enabled in Ena Micro 1. The built-in switch-off time feature, energy saving mode, and Zero-energy switch make it an energy efficient espresso. Simple Espresso. 1 cup coffee machine with an ultra-compact design. Simple espresso comes with very minimal features like no water valve or milk steamer is included. However, it is best in making quality black coffee. It comes with small hopper, so it is the perfect choice for an individual. Simple Operation. This machine comes with three user-defined cups and two level of aroma with a touch panel support. The Perfect Espresso. This machine has the features of micro brewing and multilevel grinding. This espresso is designed for multi user. The Gaggia Velasca Prestige is a super-automatic espresso machine offers customized coffee making options. The machines come in stainless steel body. One touch brewing and frothing is an important feature of this retro Italian design espresso. This feature offers one-touch coffee brewing with one-touch milk frothing. The Gaggia Velasca Prestige comes with other built-in features to help you in customization of your coffee. You can control your beverage volume, milk quantity and temperature by using these features. Energy efficient feature is enabled in this espresso; the machine will switch to lower energy after one hour idle time. Introducing the only pod maker in the list. 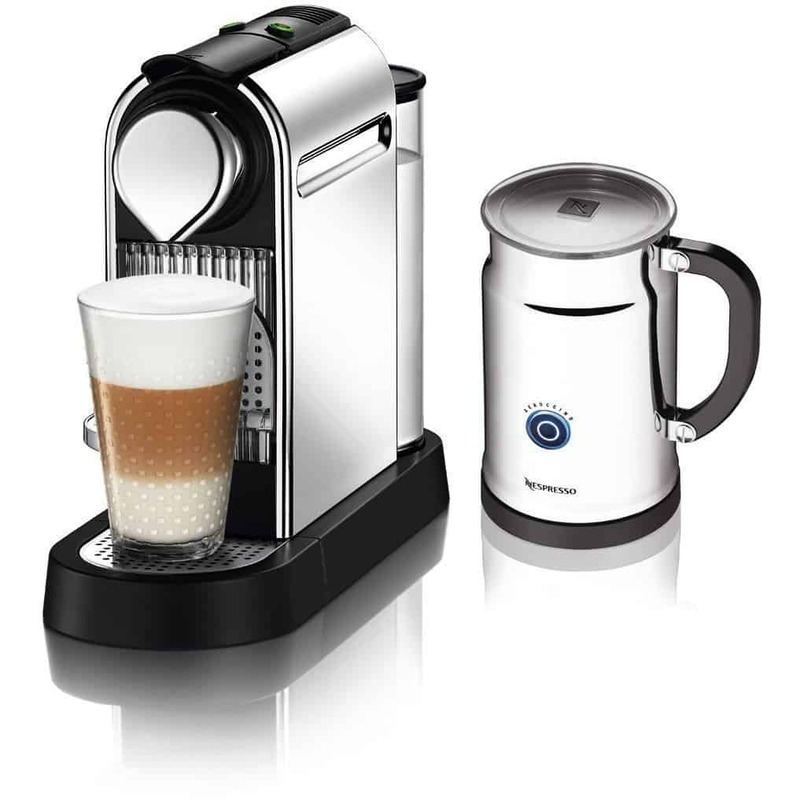 Nespresso Citiz C111 Espresso Maker brews coffee with a push of a button. The machine has an automatic feature to froth milk for cappuccino and latte. This super-automatic espresso machine can only use Nespresso coffee capsules to ensure high flavor coffee. This has all the built-in features from coffee beans selection to single or double shot filter choice. The machine has a 19-bar pump system that prepares rich taste coffee. It has also milk frother feature that gives foamy texture. The one-touch control panel of the machine enables its users to select the coffee type of their choice. This machine also allows programmable coffee quantity. Overall, this is good for those that wanted a variant of the super- automatics that doesn't burn your pocket. Now, you should have everything that you will need. To recap, the important features to consider before buying an espresso are ease of use, maintenance and built-in features for the customized brewing of coffee. As you could see, there are a lot of automatic espressos are available in the market. If we have to choose one, we would go for the DeLonghi ESAM3300. By offering multi user functions for its users. Its beans-to-brew system ensures ultimate convenience. Even so, it brews a cup of espresso with perfect aroma. The product offers special feature of Instant reheat, integrated grinder, cup warmer tray and adjustable milk container. Its user friendly interface is making it a hit among the coffee lovers.